FACTORY OPTIONS INCLUDE :- AIR CONDITIONING, ELECTRIC SUNROOF, RADIO, ELECTRIC SEAT ADJUSTMENT, LEATHER SPORTS SEATS, ELECTRIC WINDOWS, ALLOY WHEELS, CENTRAL LOCKING, RED CARPETING. 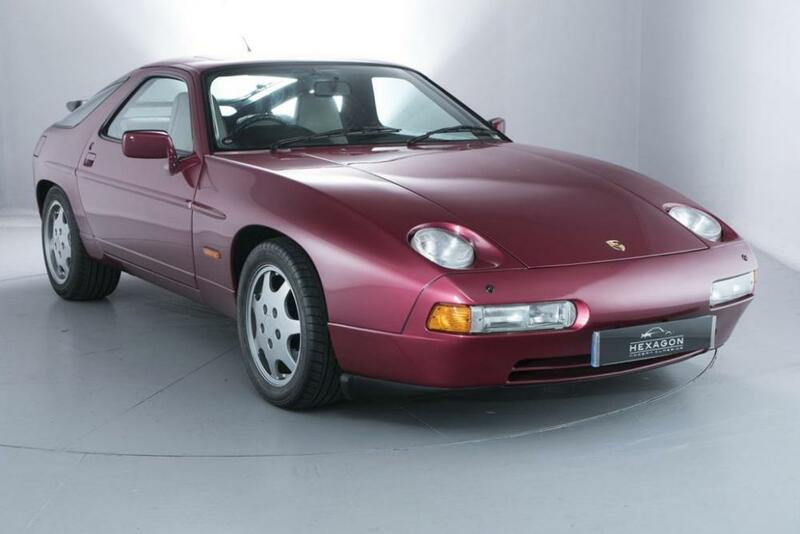 One of very few low mileage Porsche 928 GT s with manual gearbox remaining. This Porsche has a detailed and comprehensive service history file, with a fully-stamped Porsche service book, invoices for works, previous M.O.T. certificates, and it’s original Porsche manuals.